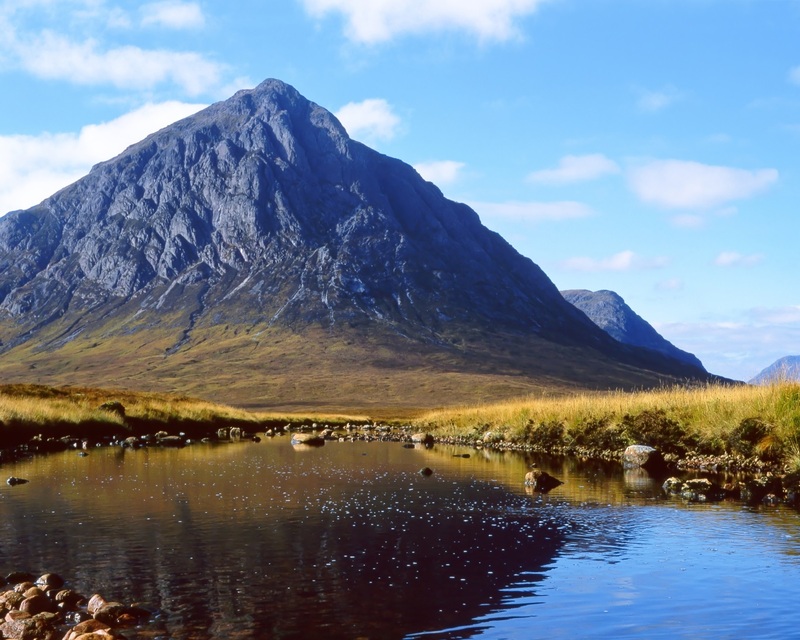 Below you will find a selection of frequently asked questions about the Mountaineering Scotland Combined Liability insurance scheme. Who is covered by the Combined Liability Insurance? What is meant by ‘Claims Made’? Does the policy cover anyone who is not defined as UK resident? I am climbing abroad - will the Combined Liability be sufficient cover? What significant exclusions or limitations apply? Why do I need £10m Limit of Indemnity as a minimum? Does my cover include any Legal Expenses? Are members of the club covered for mountaineering activities undertaken with another club, with friends who are not members of the club or Mountaineering Scotland, and in their own right? I am an instructor. Will the Mountaineering Scotland individual membership cover provide me with Professional Indemnity cover whilst I am instructing? What do I do if I am involved in an Incident / Accident? If I am injured, can I claim from the Combined Liability policy? Does Club cover differ from Individual cover? If I am a Committee Member, what protection do I get? What is “abuse” cover and why do I need it? Is the Limit of Indemnity the same for All Sections? Some of our members are physically unable to undertake club activities but wish to retain their membership of our club; do we need to declare them to Mountaineering Scotland? Can we include someone else [or a third party] in the cover? Our club has members holding mountaineering awards; would the policy cover them if they lead or instruct a group of our members? How does Combined Liability Insurance apply to young people under 18? Our club climbing meets occasionally attract spectators. Does the policy cover us if a spectator is injured? Are guests/non-members on our meets covered by the policy? When should we register new members with Mountaineering Scotland? Is Employers Liability cover provided to clubs? How is Employers Liability different to Public Liability? What risks are covered by Employers’ Liability Insurance? What is Personal Accident Insurance and do I have it? Professional Indemnity – injury following advice by an individual or club member (not an instructor). Abuse – liability incurred by a club as a failure of their duty of care. Mountaineering Scotland recognised activities, which include: Climbing indoor and outdoor, winter and summer mountaineering, rock climbing, abseiling, scrambling, gorge-walking, canyoning, hill walking, low-level walking, guided walks, fell and mountain running, slack lining (not high lining) , navigation, camping, tyrolean traverse, bouldering, co-steering, route setting, emergency first aid in the outdoor, ski-mountaineering, orienteering, ski touring. AALA inspection relevant to climbing activities only, and property ownership (including renting out).The policy also extends to include secondary activities for clubs (i.e. these should not be the main activities of the Club which should be climbing in its various forms stated above) including, canoeing, caving, potholing (excluding the use of explosives and underwater exploration) and cycling, and mountain biking. Secondary activities including mountain biking and canoeing/kayaking when used to access a route in order to take part in an activity stated above. Representation on any management committee or acting as a trustee with respect to the operation of mountaineering huts. The Combined Liability policy is written on what is known as a “claims made” basis. This means that the policy provides cover for those claims reported during the period of insurance, rather than the policy that was in force at the time of the incident. Insurance cover is only available to fully paid up members who have a permanent UK address. Such members are covered for mountaineering activities in both the UK and overseas (but excluding USA and Canada). Members with a permanent UK address who are working on a temporary contract or serving with the armed forces abroad are included within the cover, for mountaineering activities in both the UK and overseas (but excluding USA and Canada). Any member permanently living abroad is not covered because the policy is subject to UK jurisdiction and the underwriters will not extend cover to permanent overseas residents. However, members of clubs normally resident overseas are covered if they participate in club meets held in the UK. This provision does not apply to individual members. Combined Liability will provide protection for your potential legal Liabilities, however; if you are going abroad you should take out specialist travel cover, available via BMC. Standard Travel Agents travel cover will rarely include Medical Expenses, or search and rescue whilst you are participating in climbing. Abuse - the person accused of abuse / alleged to be the abuser. Charges of abuse against an individual are brought under criminal law and as such are not covered by this policy. Claims arising from loss happening prior to the retroactive date stated in the schedule, which would be the date that your continuous membership first commenced. In the event of a claim your limit of indemnity is the maximum your policy will pay. As awards in sport exceed £5m Mountaineering Scotland and Howden consider that £10m is an appropriate amount of cover as a minimum for both the Council and its Members. Professional Indemnity provides cover following negligent advice. For example, if you share knowledge with a colleague on the hill and a claim results from advice you have given, this part of the policy would apply. There have been cases of members of sports clubs having disputes within clubs. Posts on web sites and contained in emails could also be potentially Libellous, for example. Legal Defence Costs are included for the defence of criminal actions brought in respect of a breach of the Health & Safety at Work Act 1974 and Section II of the Consumer Protection Act 1987. The Limit of Indemnity if £250,000. Members of clubs declared as being active to the Mountaineering Scotland enjoy cover on activities undertaken with the registering club, another club or individually. On the basis you are charging for your services as an instructor, No. You should immediately record relevant information concerning incidents involving a fatal accident, an injury involving either referral to or actual hospital treatment, any allegations of libel / slander, any allegations of professional negligence, i.e. arising out of advice given, any investigation under any child protection legislation or any circumstance involving damage to third party property. You must report every claim and any incident that is likely to give rise to a claim in the future. Incident Notification Guidelines are included elsewhere on this website. Do not admit liability; do not make an offer or promise to pay. Please see separate instructions and Incident Report Forms on this site. No, the Combined Liability policy provides protection for claims made against you by third parties due to your negligence, subject to the terms and conditions of the policy. If you are injured and believe that a third party is at fault, you should seek legal advice on how to pursue a claim against the person(s) responsible for causing the injury. Yes, Clubs are provided with Directors and Officers cover and Abuse cover. (See comments below). As a committee member, you may not realise it, but the constitution of your club almost certainly makes you personally liable for the liability of the organisation. Combined Liability provides Directors and Officers cover in order to protect you in the event of you being sued for negligent decisions. Abuse is where an individual has been either mentally or physically mistreated, including sexual molestation. Clubs have a legal duty of care to all members, but especially young persons and vulnerable adults. If someone alleges that the club have failed in their duty of care, your Combined Liability cover will provide protection against damages awarded. The alleged perpetrator is not provided with any indemnity. No, there is a limit of £7.5 m for abuse cover, and £1m limit for Employment Practices Liability under the Directors and Officers section. For insurance purposes a member of a club who no longer participates in club events, including social activities, need not be declared in the submission to Mountaineering Scotland by that club. However, such members may wish to continue to support the Mountaineering Scotland by paying the subscription fee. The Mountaineering Scotland maintains a database of registered club members. In the event of a claim, the database (or the last or most recent list of members received by Mountaineering Scotland) will be used to establish whether a member of a club involved in a claim is registered and eligible for cover. The policy automatically includes the club committee and members who are registered with Mountaineering Scotland. However, sometimes a local authority will request to be added to the cover (if you are using their climbing wall for example). The cover requested is included under “indemnity to principles”, meaning that the authority automatically has cover under the policy in respect of any liability it may have that would have been covered if the claim had been made against the club. Activities involving members of clubs ‘sharing knowledge and experience’ is within the scope of our policy. Members of clubs who hold mountaineering awards appropriate for a given activity may lead or instruct fellow members of their own club, without charge, and enjoy cover through the Mountaineering Scotland policy without the need for personal professional indemnity insurance. The Mountaineering Scotland policy does not provide cover for members who are providing advice or instruction for a fee. Specific instructors insurance should be obtained in this case. Where clubs undertake activities or events involving unaccompanied children or young people under the age of 18, it is a mandatory requirement of Howden that the club has an appropriate Child Protection Policy in place. This will ensure that the officers and members of that club are covered by the Policy in the event of a claim against them made following injury to a child. In the event of such a claim being made, the insurance policy may be invalidated if no Child Protection Policy is in operation. Assuming that the Club constitution allows their membership, children (under 18 years old) may join a club and participate in its activities and the club will be indemnified against liability. Although children legally cannot be held responsible for their actions, the insurance charge is still applicable because when liabilities are incurred by a child in respect of third party personal injury or property damage, the duty of care will ultimately lie with the club. Insurance cover is provided for a club if a claim is made against it for civil damages following an allegation of abuse against a child. No cover is provided should such a claim be made against an individual accused of abuse because such cases are brought under criminal rather than civil law. The insurance policy responds to civil claims only and would not respond to any criminal allegation. If a spectator is injured, and it is as a result of negligence of a member, the member or club responsible will be protected by the insurance policy should a claim be made. In general terms, if a non-member participates in a club event, s/he is not personally covered by the insurance. If that person causes a claim to be made s/he can be sued on a personal basis, or the club can also be held responsible and may be brought into legal action. CLI will cover the club, its officials, and its members and the event only. The non-member is not covered in his / her own right and therefore, should that person (who is uninsured) be the subject of a claim by a member of the club(who is insured), the member who brings the claim may be unable to receive any damages awarded, due to the lack of insurance held by the non-member if they are unable to pay the damages. There will be occasions when non-members will wish to attend a meet as a guest before they decide whether they wish to join the club. In this context we have agreed with our insurers that a guest may participate up to twice before s/he should be registered with Mountaineering Scotland for insurance purposes. There is automatic cover for the club when individuals participate in club events on a guest or trial basis. The club is indemnified for liability and the individual guest has insurance in his / her own right in respect of these two “taster” sessions. If a guest continues to participate with the club on a regular basis, however, they should be made either a prospective or full member, and the relevant subscription sent to the Mountaineering Scotland. Members joining a Club must be registered with the Mountaineering Scotland within one month of joining that club. As a benefit of their membership of the Mountaineering Scotland, Employers Liability cover is available to clubs free of charge. The cover will protect a club in respect of its liability to any employees, which includes volunteers working on behalf of the club; an example could be work undertaken by a volunteer on a club property. The limit of indemnity provided is £10m. To arrange cover and obtain an Employers' Liability certificate clubs must apply direct to Howden using the application form available on this site. This cover replaces the Employers’ Liability cover arranged under the Huts Insurance Scheme originally provided by The BMC. Employers Liability protects the employer in the event of an injury to an employee, for which the Employer is liable for. i.e. when the employee sues the employer. In the case of the Mountaineering Scotland, the club could be construed as an employer where they use cleaners, or ask a volunteer to carry out “work” for them. Public Liability protects the Club / Association/Governing Body / Instructor / Member / Employee if a member or public sue them for injury /damage caused by the club etc. Please note Employers Liability can be provided via application to Howden. Employers’ Liability Insurance provides cover for a club in respect of any liability it has for an injury to someone working on its behalf. This would include someone cleaning or carrying out maintenance work on a club property, whether they are a volunteer or a paid employee. If a person was injured and claimed that the club was responsible because they were working on its behalf, the Employers’ Liability policy would protect the club. Personal Accident Insurance is a non compensation benefit policy which provides a pre-determined benefit payment in the event of a loss. Personal Accident Insurance is not part of the Mountaineering Scotland insurance programme.